Wonderful community and living experience. Location counts but the property is very well kept. Management staff always helpful. Maintenance orders always prompt. Great apartments! Always helpful staff and friendly neighbors. If there is a problem they are always on top of it as fast as possible. Great community! 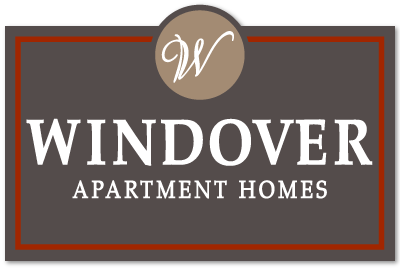 Windover Apartments are amazing. Great convenient location and I love the private balconies! There are a few maintenance issues, but nothing too bad and that can't easily be fixed. Great place to reside and a well-placed community with a pool, workout facility, spacious floor plans, and helpful leasing agents. Windover is awesome! This apartment community is overall very nice. The grounds are kept clean and the management is very responsive and keeps the residents informed. Maintenance team is great, as well as the office staff! Had some trouble with people above me, but other than that, rather great experience! Nice neighborhood, nice people. The location is ideal, near to everything yet away from the noise. The rent you pay is worth every penny for the value. They are all fabulous to work with, from the community manager and assistant manager to the maintenance staff. They have clearly gone above and beyond to accommodate the needs of me and my wife. They are kind, helpful, and very professional. We love our townhouse! Great location. Landscaping is really nice. Wish some residents would clean their clutter outside their apartments. Maintenance is very prompt and friendly. Love my floor plan, spacious and very functional, looking forward to enjoying my patio this spring and summer!! Also looking forward to enjoying the pool too!! The townhouses have a lot of space and natural light, which is great. There's always parking near the units and it's nice to be able to pick up mail right outside your front door. The walls are a little thin and the floors are pretty creaky, but that's kind of to be expected with an older complex. Small, quaint community. Great quality to price ratio, though buildings are older. Quiet area off Kingston Pike - very convieniently located. Downside is maintenance is unresponsive and noncomminicative. Absolutely love it here. Jordan, Chris and Bill are an amazing team and really make us feel welcome here. We honestly couldn’t ask for a better apartment complex to live in! Maintenance is great and very attentive as well. The new office staff is worlds of a difference better then the previous! So much more polite. Wouldn't be moving out if I didn't have major life events happening. It is really great here, the apartment is clean and the location is perfect, there are a ton of restaurants and things to do. I also like that there is no issues with parking. For an apartment community, it provides all the necessities. It has been a bit of an inconvenience that our laundry room is only accepting quarters but hopefully that gets fixed soon. Just moving in and I'm very happy with everything so far! The staff has been very helpful and I'm looking forward to living here in such a great location! We have lived here for almost five years now. The location is great, it's quiet, and the staff is attentive. We also enjoy the monthly activities. love this community and the maintenance team is great! They always respond in a timely manner and are extremely helpful. My renovated apartment is perfect! Great community, quiet with nice neighbors. The staff and manager are great to work with. They are understanding and very responsive to emails and inquiries.